This bit from Lorina is made from highly polished stainless steel to prevent rusting and improve durability. 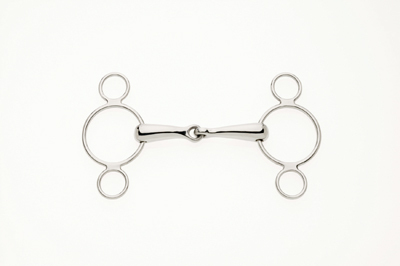 The 3 ring bit should be used with two reins; one on the lower, smaller ring, the other on the main snaffle ring. There are currently no questions for Lorina Continental 3 Ring Jointed - be the first to ask one!